Although it sounds appealing, not everyone’s cut out to work on a cruise ship. While the job appears to be fun, it’s demanding and a lot of hard work. You should know what you’re getting into before you fully commit. You want to make sure you’d actually be happy doing the job and not miserable each day. It’s smart never to assume anything and to learn about the position ahead of time before making a decision. Even though you won’t know for sure until you get out there on the water, you can get a good idea from doing a little research. You definitely have to like working with people if you’re on a cruise ship. The guests are your number one priority. You’ll be required to interact with them at some point, even if your main role is behind the scenes. You have a wide variety of jobs to choose from on the ship and can figure out what you love doing and get the proper training ahead of time by looking over quality education and jobs. There are many different ways for you to work with people while on and off the ship. You’ll be on a cruise ship and it may not feel like you’re always on the water, but if you’re someone who doesn’t care for boats or you have a fear of water, then you won’t enjoy your time much. It’s better you have a passion for being out in the middle of nowhere and for that type of environment. It’s probably not for you if you’re always getting sick and don’t like being out in the open like that for extended periods of time. 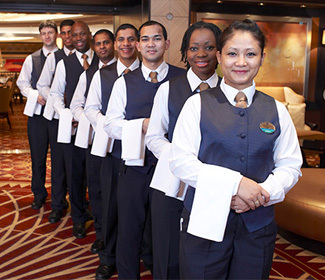 Everyone’s job on the ship is ultimately to serve the guests. You have to have patience for working with your crew members and guests. It’s not going to go over well if you’re restless and have a short fuse. You have to be able to put a smile on your face no matter your mood and make sure others are satisfied. It’s a fast-paced environment at times so you can’t be messing around and be someone who always takes your time. Be patient with yourself as you learn the job and the way of the ship. You have to know what you’re getting into right away by realizing how many days you’ll be gone. 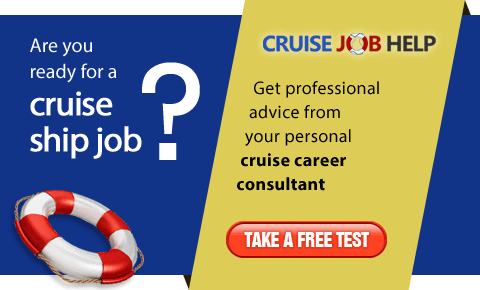 Your schedule will be dictated by how long the cruise is and where it’s taking place. Your lifestyle should be flexible so you can report to wherever you need to be whenever the captain needs you. Make sure you’re at a point in your life where you can be gone for longer stretches and not have any other obligations that need your attention. 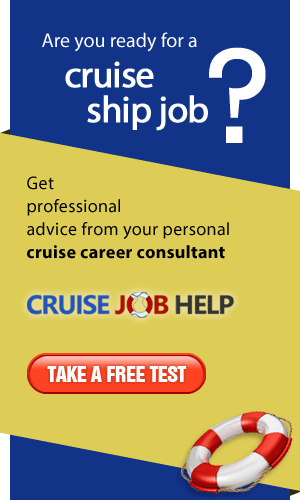 There’s a lot to know and learn before becoming a cruise ship employee. Weigh the pros and cons and determine if it’s the right move for you. It never hurts to apply and see where it takes you if you’re seriously considering it.